It’s late December, and it’s time for resolutions. Because if there’s one thing Tahoe will need in 2017, it’s resolve. Webster calls it, “a fixity of purpose.” For Sierra Watch, our purpose is clear: to Keep Squaw True in 2017. 1. Follow through with Sierra Watch’s legal challenges to overturn Placer County’s illegal approvals of KSL’s irresponsible development. 2. Engage experts and tap local knowledge to show that a limited development alternative is the best blueprint for Squaw’s future. 3. Prevent KSL Capital Partners from reaching mechanized and commercial tendrils into our Granite Chief Wilderness. 4. 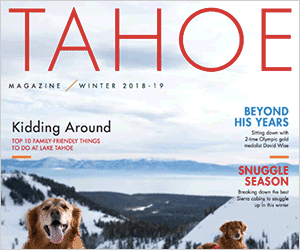 Connect with the incredible people of this unique Tahoe community and affirm our shared mountain values. 5. Spend time in the mountains, on the trails and under the stars to remember why we need to Keep Squaw True in the first place. Any alternative to firm and committed resolve — whether anger, despair or resignation — is totally unacceptable. Unless we want people to look back at 2017 as the time we lost Squaw and Tahoe — and our outdoor values — to a bunch of highrises and a damn waterpark.